People's score goes to Sharpeville to celebrate Human Rights Day. 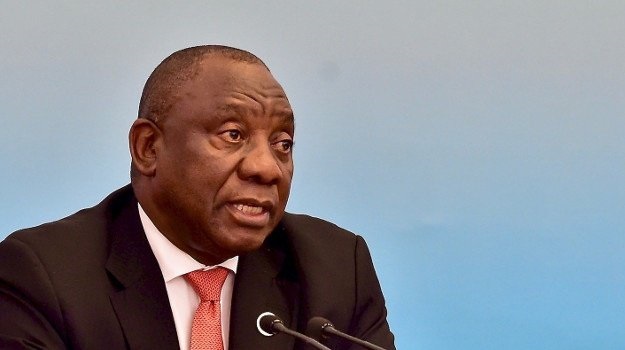 President Cyril Ramaphosa leads a delegation of government officials who descended into the Vaal triangle to commemorate 69 men and women who were killed in a peaceful protest in 1960. Ramaphosa started the ceremony on Thursday with a ceremony. Shortly thereafter, Ramaphosa, accompanied by Minister of Art and Culture Nathi Mthethwy and Prime Minister Gauteng David Makhura, is expected to address Sharpeville at a community sports complex. More than 1,000 people have already come to the sports ground to listen to Ramaphos. Many observers wore ANC T-shirts, plastered with Ramaphosa faces. A joyful group of youth danced and cheered for a range of entertainment. Khoni Ratau, 68, said he was a young woman when Sharpeville police collected dozens of people. "I was there. I remember how sad we were when the police killed our brothers and sisters. It's a sad day for me. Remember the friends I've lost and our history. We've come a long way." Ratau was accompanied by her sixteen-year-old granddaughter Kea, who said she had grown up in stories of the massacre. "I'm glad I'm here. It's an important day for this area. I'm also grateful that my grandmother teaches me about our history." Kea said she wanted Ramaphosa to give clearer information about free higher education. "I want the president to tell me that I can continue my studies when I leave school. I am in grade 10 and I don't want my grandmother to pay for the fees. I want to be an engineer and I have faith in the ANC and the president to help me to get an education. Another woman, Gracious Witbooi, said she was ready to vote for her party, ANC, the election day will come May 8th. "He (Ramaphosa) showed up to be me. He's a man for this job. He has to encourage this community. I have faith in ANC. They give us food. I'll never vote for any other party," he says. He said. The day is remembered to commemorate the anti-pass march at Sharpeville Police Station on March 21, 1960. The brutal assault on the protesters by the police resulted in mass killings of 69 people and more than 100 others were injured. The Human Rights Day celebration has attracted several political parties to this area. EFF organizes its own commemorative event at Dolomo Dam near Seeiso Street. ANC scores and PAC supporters use that very way to get to their own different memory places. The Black First Land First Party (BLF) built a gazebo about 500m from the EFF event, while the buses that ran at the ANC were passing by. One of the oldest EFF supporters present at the event, he told News24 that the Sharpeville massacre should be "a painful reminder that some people were brutally killed in search of freedom and democracy". Gauteng party chairman Mandisa Mashigo said that this day is important for SA history, because people "fought for our ultimate freedom in our country." Party leader Julius Malema is expected to give the key address once the program officially begins.